History of science is devoted to the history of science, medicine and technology from earliest times to the present day. Histories of science were originally written by practicing and retired scientists, starting primarily with William Whewell, as a way to communicate the virtues of science to the public. The history of the Internal Solvay Institutes started in 1911, with the first Solvay Conference on Physics. In view of the success of the 1911 conference, the Institute of Chemistry was created in 1913 by Ernest Solvay. 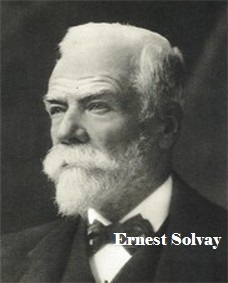 Ernest Solvay was Belgium chemist, industrialist, and philanthropist who in the 1860sm developed the ammonia prices for the manufacture of sodium carbonate, widely used in the production of glass and soap. The Institute of Chemistry fused in 1970 with Institute of Physics to become The Institute International Solvay Institutes for Physics and Chemistry. The Solvay International Conferences on Physics are held every three to five years. Organized by the International Solvay Institutes for Physics and Chemistry located in Brussels, they are noted for their role in stimulating advances in atomic and quantum physics.